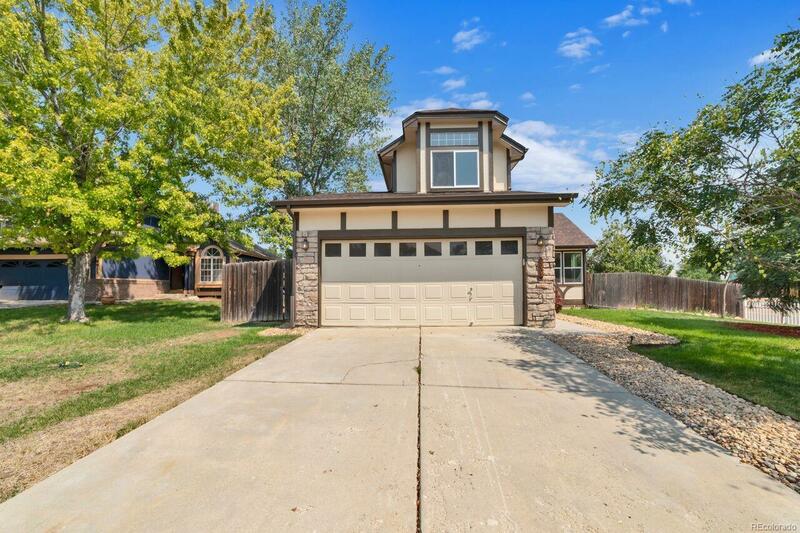 Nicely remodeled 1988 2 story in a cul-de-sac location. Very bright with multiple skylights and an open floor plan. Almost everything inside is new. Multiple peach and apple trees on a large, almost 1/4 acre lot with a nice storage shed. Wood burning, recirculating fireplace in the family room with cathedral ceilings in the living room. All new windows, appliances, carpet with upgraded pad. Full unfinished basement with 2 egress windows, plenty of room to expand. New architectural roof. No HOA fees. Near walking paths/trails, golf, rec center, event center, shopping and much more. You have to see this before it's gone. Taxes may be under senior exemption currently. Offered by Blue Tree Real Estate Ltd.